Pregnancy comes with a lot of questions: What should and shouldn’t I eat? Are there other activities I should steer clear of? Activities I should do more of? How can I safely exercise while pregnant? What can I do to relieve or prevent pregnancy symptoms like nausea and vomiting, heartburn, leg cramps, and hemorrhoids?…and so many more! 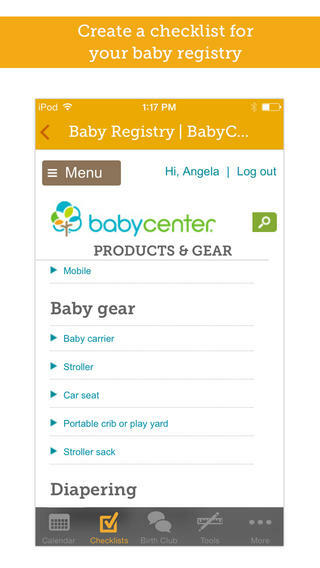 My Pregnancy Today app by BabyCenter is one of the most popular pregnancy apps in the Google Play store, with more than one million downloads in the past month. Reviewed my a team of obstetricians, pediatricians, midwives, and other medical professionals, My Pregnancy Today is designed to be everything an expectant mother needs. This comprehensive app includes week-by-week fetal development images, explanations for how your pregnant body will change over time and a due date calculator. One of the most impressive features, however, is the Check List. The Check List breaks down week-by-week lists of suggestions for what you could be doing to stay healthy and prepare for labor. For example, in Week 16, the app says you should be doing kegel exercises and making a prenatal appointment for your first trimester. My Pregnancy Calculator is a fantastic (and free!) 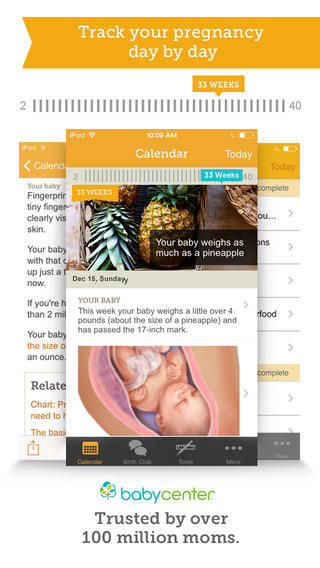 app for managing your pregnancy. 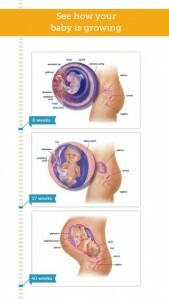 Disclaimer: Always raise any and all questions or concerns about your pregnancy with your doctor first.